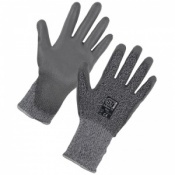 When working with abrasive materials, it's vital that you can ensure you can give your hands the protection they need. 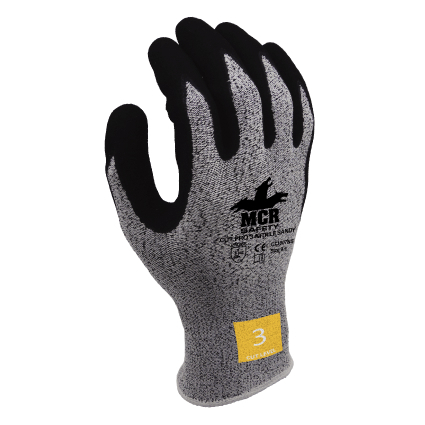 The MCR Safety CT1007NS Cut Pro Sandy Nitrile Palm Coated Safety Gloves offer a secure grip and improved abrasion resistance, ideal for glass and steel industries. A secure fitting design makes them incredibly comfortable and easy to wear. The MCR Safety CT1007NS Cut Pro gloves feature a sandy nitrile coating on the fingers and palms. 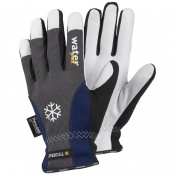 This provides an improved grip while also offering an increase in abrasion resistance and improved longevity. 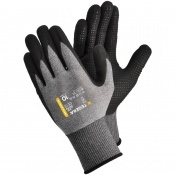 This makes the gloves ideal for those looking for tough, long-lasting work gloves.